Surrender at 20: Red Post Collection: Mid-Patch Updates, Quick Gameplay Thoughts for July 18th, August Sales Schedule & More! 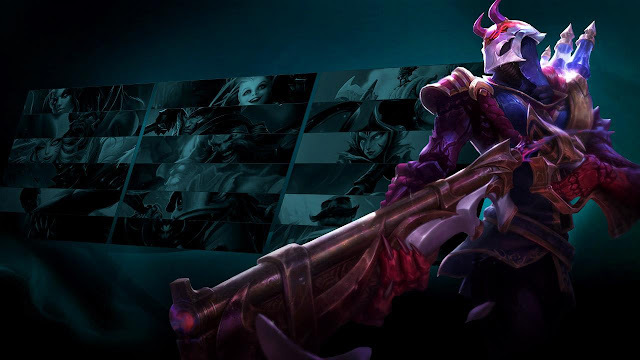 Tonight's red post collection includes a look at recent mid patch updates for Kayn and Duskblade of Draktharr, the August champion and skin sales schedule, a heads up we have a new champion road map article releasing soon, recent gameplay thoughts with Meddler, and more! BUGFIX Kled no longer ends up in a weird spot if Kayn uses R - Umbral Trespass on him to avoid the targeted dash at the end of R - Chaaaaaaaarge!!!" We put out a hotfix to Duskblade yesterday, taking some damage off it. Compared to champion balance it tends to be harder to get a quick read on things with a more systemic effect like items, hence this balance hotfix being quite a bit after the patch compared to what you'd expect for an individual character (needed the extra time over the weekend to make a better assessment). We'll be continuing to work on Duskblade in 7.15 at least as well, with the damage nerf not expected to be a final solve but instead just taking the edge off. Making the slow melee only's the likely first step, we're also considering lowering the damage again for ranged at least as well. Call on that will depend in part on how the somewhat nerfed version now on live performs. The intent with that ranged damage nerf wouldn't be to make Duskblade unusable on ranged champions, but instead to make it appropriately powerful on them. Items like Duskblade should be reasonable fits on ranged AD caster champs, not just AD melee, so the issue is we believe not that they're using it in the first place, but that it's too effective on them comparatively. Still watching Kayn, doesn't look like he'll need any balance changes in 7.15. Player performance on him continues to improve as people get more experience, with a lot of the early failures starting to disappear now. We'll take another look in 7.16, looking in particular to see if things have stabilized enough to give a better read on assassin performance versus darkin performance (assassin's been lower, but we believe has been climbing more, so want to see how each form levels out, not just their comparative starting points). 7.15 will contain a number of bug fixes though for various bits and pieces on him. Cho - Now too strong (buffs went too far). We'll be cutting some of the flat damage and % damage off E as a result (current numbers in testing: 20-60 and 3% instead of 20-80 and 4%). We did consider hotfix nerfing Cho along with Singed and Nunu, but concluded his state wasn't getting out of line as quickly and his counters were clearer. 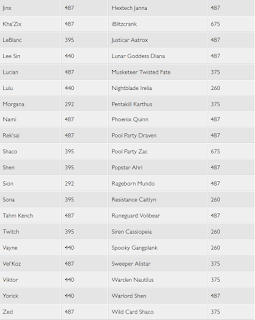 Lee Sin/RekSai - We'll be pulling the nerfs to these two we've had in testing, at least from 7.15. Goal with them was to open up jungle options more, we're already seeing shifts more towards tank junglers (in part driven by Cinderhulk changes) so belief is these nerfs made sense in the previous context but arguably don't at present. Will revisit after seeing where 7.15 lands. @Meddler, why were Udyr changes fully reverted for the second time? will he be receiving different updates? 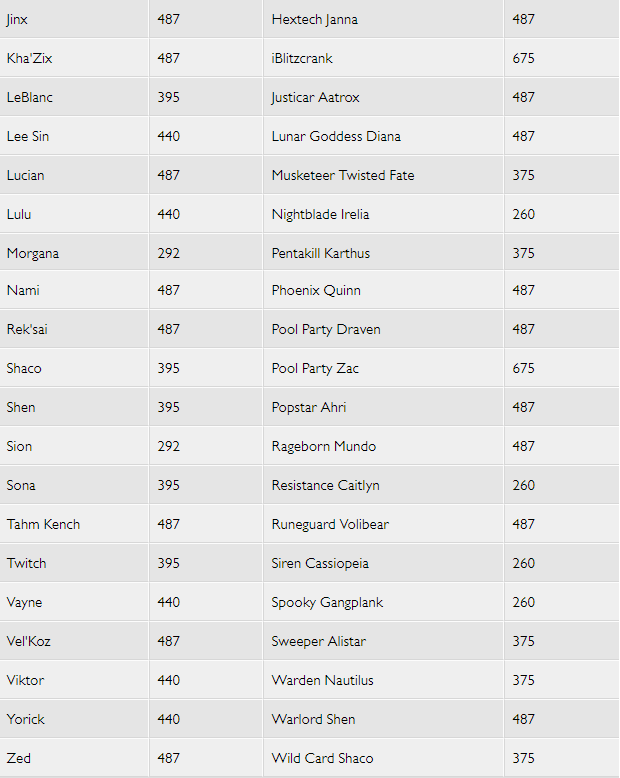 and will Wukong receive any number changes/ passive update or rework in the near future? We don't yet have enough confidence in the Udyr direction, in particular how much he should/shouldn't be split pushed focused. Needs more discussion and testing, particularly if it's to be released in this period. Nothing currently planned for Wukong. Would like to do some work on him at some point, not a current priority versus some other champions though." "Malph - Doubt the changes would accomplish their goal of seeing Malph get niche pro play as a counter to a couple of champs (Jax/Irelia, who aren't played much either), while potentially being inappropriate for regular play. Yorick - Want more time to see how the previous changes impact him. Slow probably too large a buff as well. Some return of similar changes at some point likely. Karthus - Would like to see him in organized play, can't afford to buff him given his strength in regular play however." do you think rengar will be one of the junglers to receive small buffs towards next weeks patch? Seems much weaker even with lethality buffs after all the nerfs. 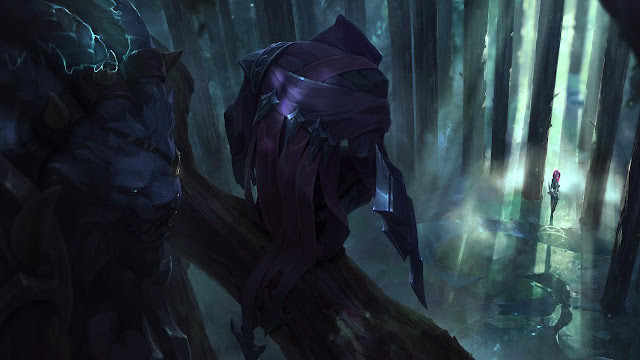 Unlikely, he's risky to buff at his current strength and 7.14 lethality item changes have likely been good to him." I have a concern about manamune. 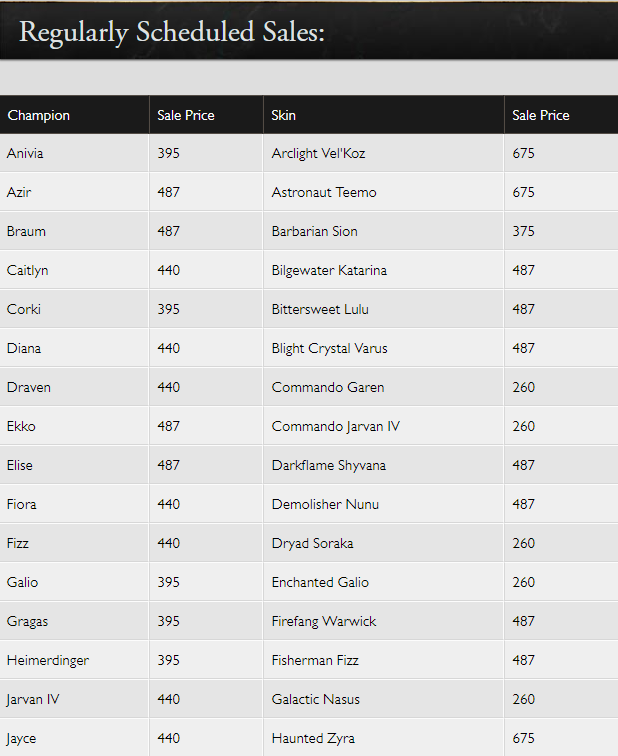 After the rework of Yorick, Urgot, the champions that use this item and its upgrade have significantly decreased. The only examples I can think of right now is Ezreal and Jayce. Please we need an update for this item (not necessarily a removal) or at least new champions that benefit from it. Seems worth some work at some point, don't think it's terrible if it remains fairly niche provided it's got some core users it has interesting, healthy impacts on." Im curious about azir, have you already chosen a direction for him? We're testing a reduced ranges but same skills kit at present, with some compensatory buffs given range reduction's a sizeable power hit otherwise. Showing some promise, uncertain if it goes far enough is the risk (so better game health wise, but is it better enough?)." "Internal opinion's split between right ballpark and too strong. Unlikely we'll change it in 7.15, high on our watch list for 7.16 though." "The teams goals with the current changes were to buff her CSing, her AA harass in lanes where that's relevant and to give her a bit more mana in later game teamfights. That translated into base AD and mana/level. No work currently being done on her passive. 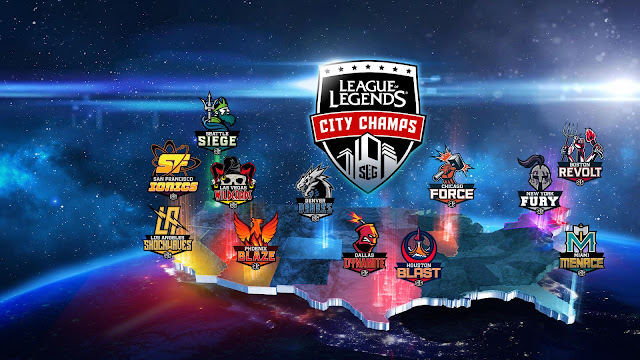 We'll take another swing at it someday, working on other champs now instead however." Has there been any noticable improvments for AS champs after Thornmail gor altered? Is there a reason that Thornmail now has Cold Steel, besides the fact it builds out of Warden's Mail? Cold Steel is somewhat counter-productive to the item, though I understand that punishing AS focus is no longer the item's intent. Cold Steel's on there so that combining Thormail with other items with that passive's less optimal. As above no current reaction plans to Thornmail/its impacts in 7.15, but plans to watch it closely in 7.16." Hey, did you ever get a word on what was holding up the Ahri/Amumu icons? Artist working on them's on some other work that's higher priority. Icon updates slower than expected as a result. Possible we don't do Ahri's in the end (debated benefit versus live ones), with Amumu, Renekton and Mundo looking like most likely upcoming icon improvements." don't discard the Ahri icons pls, also what happened to Nunu? I'll pass on the feedback, this one's an artist call rather than a game design one though, so I'm more playing messenger here. Nunu still likely, forgot about him, but have seen some draft icons that were being worked on." "Primary goal is to try and give more of a niche by doubling down on his role as a tanky dude who's good into heavy magic damage teams." Wasn't there going to be some sort of post talking about upcoming reworks this week? Should be out tomorrow around 11am PST." "I know I am!! On top of talking about the next VGU I will be also going over some details about the next new champion! There are some really cool teaser art pieces in it as well." ok thanks!! so every 20th there's a roadmap. nice!! Nope. They will not be on specific dates. 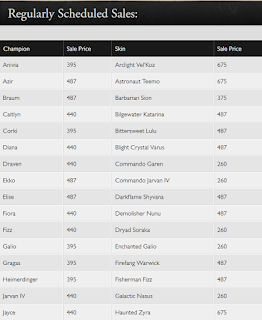 They will likely be after every 2-3 months depending on champion release cadence. Kayn and Urgot came out in back to back patches so this Champion Roadmap is coming out much sooner then most. " Riot is doing its best Santa Claus cosplay and giving gifts of new software to our back-end infrastructure. On Wednesday, July 19th we’re going to turn ranked off at 1:30am PDT and then from around 3am PDT till 8am PDT perform some proactive software upgrades to our network routers. As with any software upgrade, this will add various software optimizations, enhancements, etc. to make it easier to support and maintain the routers in the pursuit of keeping a stable service. While everything sounds good so far, there is a slight catch: updating routers means that some players might be bumped on their current path to our servers and re-routed, which might cause some brief disconnects (Which is why we’re disabling ranked, just in case). We’ll keep a close eye on the maintenance, and if things get too out of hand, we’ll react quickly. We will make sure to update this thread with any updates on the maintenance or when it’s completed!" "Next new champ is mine!" 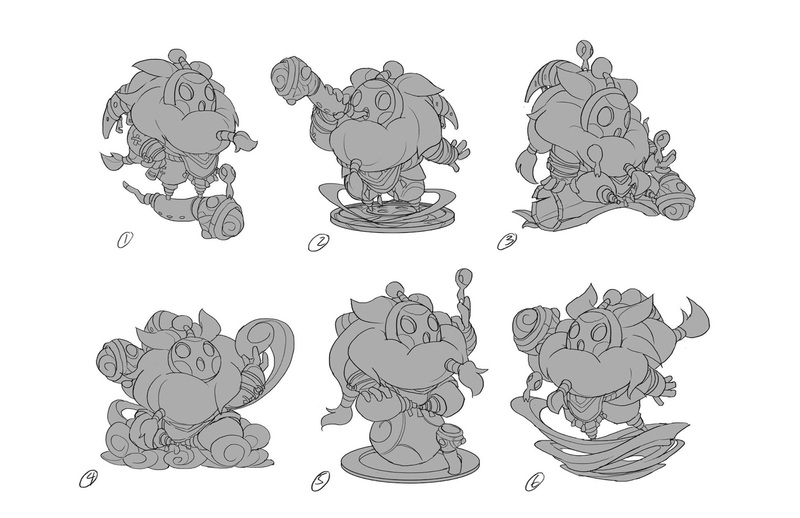 "Lifting the cosmic veil so all may look upon the first early sketch concepts of the Bard figure!" 3) Super League Gaming is holding their City Champs Season 2 tournament. Check out this link for more details! The SKT skin set will be on sale through 7/19 at 23:59 PT. Make sure you pick up what you want before they are gone!